We can see the difference between the default package and this one. 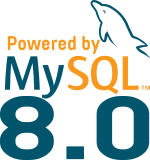 Now you can use again Innotop with MySQL 8.0 ! Thank you again to all contributors and don’t hesitate to submit your patches.